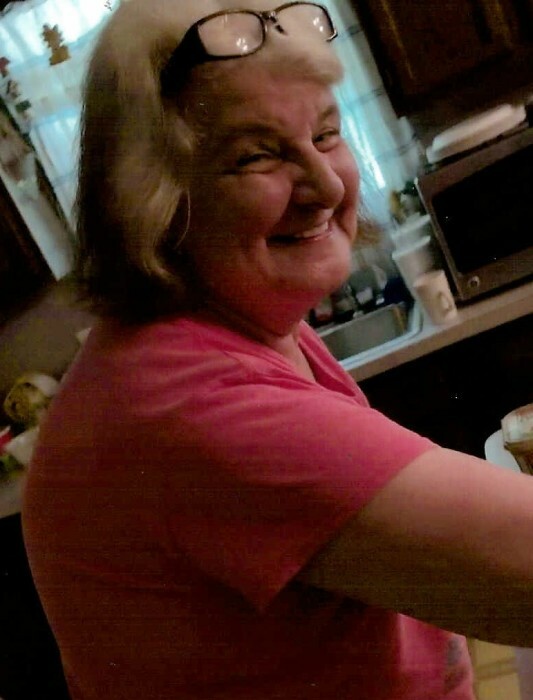 Lulu B. Webb Mummey, 70, passed away on Saturday January 26, 2019 at her residence following a long illness. She was born March 28, 1948 in Zanesville to the late William and Ida Burns Webb. She enjoyed family gatherings and playing games. Lulu is survived by her husband of 52 years David W. Mummey Sr.; three children: Lorraine (Tom) Shaw of Dresden, David (Tami) Mummey Jr. and Christy (James) Holliday both of Frazeysburg; nine grandchildren and ten great grandchildren; a lifelong very best friend Rita Lehman of Toledo; five sisters: Betty (Vincent) Gebhart of Zanesville, Marlene (Kurt) Whoolslagel of Georgia, Delores (Allen) Mason of Philo, Norma (Carl) Wilson of Chandlersville and Shirley (Jim Snyder) Armer of Zanesville. In addition to her parents she was preceded in death by four brothers: William, James, Mike, and Robert Webb; four sisters: Rachel Ralph, Mary White, Sandra Gassaway, and Jane Lightsey; three infants: Calorine, John, and baby boy. Memorial contributions may be made to Genesis Hospice & Palliative Care Morison House 713 Forest Avenue Zanesville, Ohio 43701. Visitation will be 2-4 and 6-8 on Wednesday January 30 at THE SNOUFFER FUNERAL HOME 1150 WEST MILITARY ROAD ZANESVILLE. Funeral services will be held at 1pm on Thursday in the Snouffer Chapel with Pastor Dave Fowls officiating. Burial will follow in Irville Cemetery.